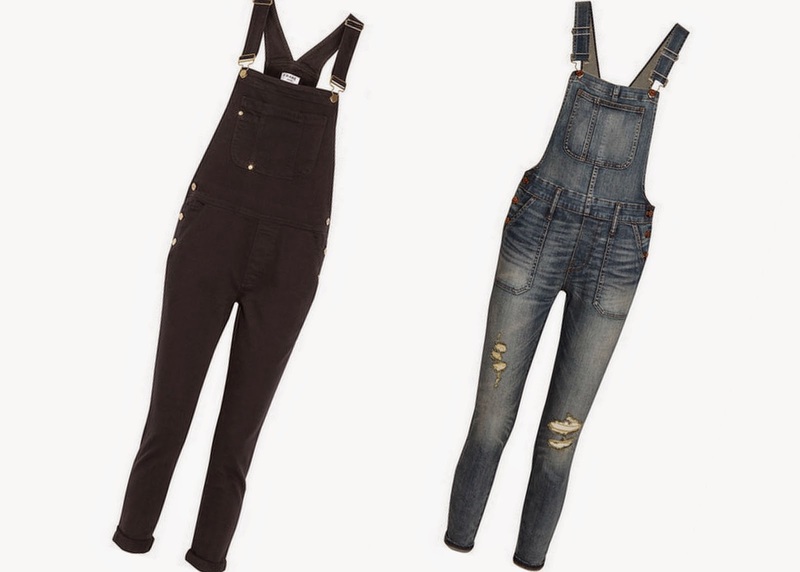 So how do we feel about overall's? 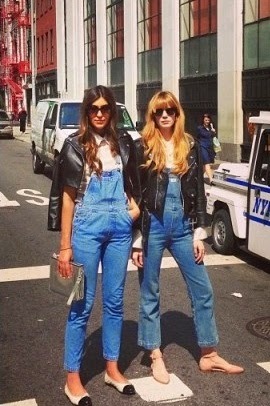 Is it overall's or overalls? I guess that isn't really the point. But seriously what do you guys think? Last summer when they really started to pick up some sartorial power I was all 'ewww no way' stupid dumb. But now I'm singing the damn I shoulda got on this train sooner tune! I really want a pair, like really! I was even explaining how they could be so cool to my Hubs, and I kid you not, without a hint of sarcasm in his voice. He wholeheartedly agreed that they could be pretty cool and encouraged me to purchase a pair. And when I showed him the last photo above, of Dakota - He was like oh yea! So I mean.....right?! And gosh dang it. I. Just. Might. These two are my favorites. But I also have all these pinned as favorites as well! Do you have any? Do you recommend them? I want the perfect combination of skinny without being fitted, but not total baggy, dumpy. Ya know?! Can I pull them off?! Not a fan of this look.